Find YOUR home at one of these sites! The property you are considering is a bank-owned foreclosure, also known as an REO. There are several differences between a bank-owned property and transactions involving regular residential real estate. The information contained herein is designed to assist you in understanding the expectations of you and the seller during this transaction and to lessen the stress of the home buying process for the Purchaser, Selling Agent, Seller and Listing Agent. Offer Submission – All offers MUST include this signed form, Residential Purchase Contract, Earnest Money, Pre-approval Letter or Proof of Funds and Corporate Resolution. Offers CANNOT be contingent upon the sale of another property. All offers MUST be submitted in writing. No verbal offer will be accepted. The Listing Office can only submit and respond to complete offers (purchase contract, earnest money and pre-approval letter/proof of funds) that are received in-hand during business hours. All written offers can be delivered to the listing office by fax, email, drop off or mail. The listing office cannot respond or wait on a “potential” offer that never comes. Incomplete package or illegible contracts will delay your offer submission; PLEASE WRITE CLEARLY OR TYPE OFFERS! Some offers are required to be submitted online. Refer to MLS comments on where to submit an offer. Offer Acceptance: Once your offer is accepted, you must submit a complete contract package, along with any required addendum with all NEW FINAL terms. No cross outs/write ins will be accepted. Condition and Disclosures – This is a bank-owned property, there are NO PROPERTY DISCLOSURES and it is being sold AS IS, Where-IS – (NOT as is with limited warranties). All personal property (such as appliances, curtains, etc.) on the premises is not warranted and should not be included in the purchase agreement. MANDATORY DISCLOSURES: Please include the mandatory MOLD and Radon Disclosures with all offers. Earnest Money: Varies from seller to seller but generally it is 1% or $1000, whichever is higher, for financing deals and 10% or $2000, whichever is higher, on cash deals. A cashier’s check/certified funds MUST be accompanied with the offer. NO promissory notes and no cash. If additional earnest money is required, this additional amount is due in the listing office within 24 hours of verbal acceptance. 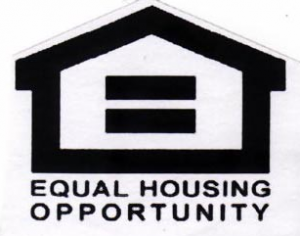 For HUD-owned properties, $500 for properties under $50,000 and $1000 for properties over $50,000. Proof of Funds – Cash offers MUST be accompanied by Proof of Funds (Cash means CASH). If buyer switches from cash to financing, then Seller has the rights to void or re-negotiate the contract. Pre-approval Letter – Financing offers MUST be accompanied by pre-approval letter. Pre-approval letter must be on lender’s letterhead, current or recent date, state the amount buyer is qualified for, type of loan (conventional, FHA, VA, etc), LTV and all lender’s contact information. Some sellers offer in-housing financing and will require that buyer submit a pre-approved letter from that particular lending institution. IF YOU DO NOT HAVE A DETAILED PRE-APPROVAL LETTER, WE WILL CONTACT THE LENDER! Buyer Type – Please identify if buyer (check one) is an “owner-occupant”, “investor”, “first-time buyer” or “agent buying as principal”. Buyer (check one) q does or q does not intend to use and occupy the Property as Buyer’s primary residence. Some corporate sellers will not pay a commission to the selling broker if the buying agent is one of the principals buying the property. Commission: Some corporate sellers will pay commission based on the NET sales price which is the gross sales price minus any seller’s concessions, repair credits, buyer’s closing costs, etc. paid by the seller for the buyer. Treatment/Remediation/Repair – Do not assume that seller will pay for treatments or repairs of any kind. If buyer wants the seller to pay for these items then buyer MUST request for the dollar amount on the initial offer. Multiple Offers – Multiple offers are common. In case of multiple offers, we will notify all the parties of such however it is at the Seller’s discretion to request that the buyers submit their highest and best. The seller will review all offers and choose the best one to work with. Seller may accept an offer without requesting for highest and best. Typically, the seller DOES NOT accept back up offer. Negotiations/Counters – All negotiations are verbal until final contracts and addenda are signed by the seller. Once you are informed that your offer is verbally accepted, it is. However, before the contract is executed by the seller, seller reserves the right to “unaccept” your accepted offer if upper management/corporate does not approve the deal. This is rare and highly unlikely but yes it could happen. Some sellers may require original documents with buyer signatures. It is the Buyer’s Agent’s responsible to provide these documents to the Listing Agent in a timely time. Seller’s Response Time – Response from the seller may take a minimum of 24 hours and can take as long as 2 weeks. Timing varies depending on the Institution, the time of month (month’s end taking longer), and the file load. Often the Institutional Seller is in a different time zone which creates delays in response times. Additionally, the more complex the offer, conditions, etc. the more likely that approvals or responses have to come from “management”, again delaying response times. As the Listing Agent, I am also waiting and I WILL FORWARD THE INFORMATION AS SOON AS IT BECOMES AVAILABLE TO ME – Asset Manager have a large number of assets under management and do not respond well to multiple and/or daily queries. Continued multiple and/or daily queries slow down the process for everyone involved. Please be patient and considerate, we are all working towards the common goal of closing on the subject property. Purchase Addendum – Please read the Bank Addenda carefully. All REO properties have their own purchase addendum that is required to be part of the purchase contract. Some addenda are available upfront for the buyer’s signatures, others will be generated by the seller as a counter or once the offer has been accepted. The language of the purchase addendum CANNOT be altered/changed in anyway and will supersede/prevail over the local purchase contract. If the buyers have questions about the addendum, they will need to consult an attorney. Seller’s purchase addendum and any disclosures must be signed by the buyers first then the contract package sent to seller or seller’s attorney for execution. Buyer will receive a copy of the fully executed contract package. Please allow up to 5 business days for contract execution from the seller. Per Diem – There is a penalty for closing delays not caused by the seller. The per diem, as instructed by the seller in the purchase agreement or addendum, is part of the contact and is not negotiate. The seller will not suffer delays due to the Purchaser’s Lender not performing in a timely manner. Begin your inspections upon contract acceptance. It is not uncommon to have closing delays due to title or deed issues. Buyers should be aware of this and be prepared to wait (sometimes it take weeks to resolve the issues). In case of a delay, an extension/amendment must be signed. The per diem late fee will not be assessed if the delay is caused by the seller’s side. Timeframe for Closing – Generally it takes 30 to 45 days from mutual acceptance to close the transaction. It is not uncommon to have closing delays due to title or deed issues. Buyers should be aware of this and be prepared to wait (sometimes it take weeks to resolve the issues). In case of a delay, an extension/amendment must be signed. No early possession/occupancy. No exceptions! Absolutely no repairs, renovations, or alterations of any type shall be performed by anyone before closing without the written consent of the seller. Escrow – The seller/seller’s attorney has the control of the closing and will choose the closing location, title company as well as where the earnest money to be deposited. Seller/seller’s attorney will order the title work and schedule closing through a company of seller’s choice. For HUD-owned properties, buyers will select the title company of their choice and work with the title company for the closing process. Inspection & Utilities – It is absolutely essential that you give 3 BUSINESS DAYS NOTICE PRIOR to scheduling your inspection. Some utilities (such as electricity) will likely be on prior to your making an offer, others will not (such as water if the property is winterized). If the property is winterized, it MAY be at the buyer’s expense to de-winterize by a reputable contractor/plumber or by one Seller’s approved contractors AND re-winterize after the inspection. Some clients mandate that the process be done by their own contractor and the expenses would still be of the buyer’s. Seller will not guarantee that utilities will be functional for inspections. Seller does not authorize repairs for the purpose of the inspection unless agreed in writing. The Listing Agent has NO control over the work schedules of utility companies or water municipal employees. 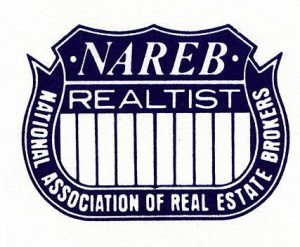 As such the Listing Agent will not be responsible for re-inspections &/or associated fees. Buyer’s agent should visit the property a day PRIOR to the inspection to check if systems are working. HOA Info/Documents – If the Listing office has any HOA information and/or documentation we will be happy to share them with the Buyer’s agent however it is the buyer agent’s responsibility to obtain any HOA documentation pertaining to that property. Property Information Verification – Information on the MLS sheet deemed reliable but not guaranteed. It is important and the responsibility of Buyer/Agent to verify all property information including: size of home, lot size, schools, taxes, water/sewer connection, city/county restrictions, zoning and ordinances. Re-key Requirement – Some sellers mandate that the property be re-keyed prior to closing and the buyer is responsible to pay for this expense. In case where is not mandatory, we still highly recommend that all buyers re-key their property immediately right after the closing. For HUD-owned properties, buyers WILL NOT receive any keys to the property. It is buyer’s responsibility to coordinate with a lock smith to rekey or change locks at the property AFTER the closing. At no time will the buyer’s agent allow to give out the lockbox combination or key to anyone, including the buyer, the buyer’s contractors, inspectors or any other party. The buyer’s agent must be present for all showings, inspections or visits to the property. Please feel free to call the office with additional questions or concerns. We look forward to working with you towards the completion of this transaction.